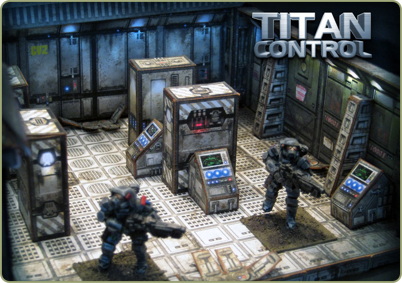 Titan Control is the second sci-fi instalment in the TerrainlinX lineup. This expansion set delivers more modular starship sections, focusing on the command and control areas of the ship. Perfect for representing both interior and exterior sci-fi structures of any footprint or height. Our TerrainlinX build system, with its ability to store flat, add & remove elements on-the-fly, dynamically mix and match elements from other terrain sets, create easy “lift-off” levels, and complete “Robo-cutter” compatibility, makes Codename Titan one of the most flexible sci-fi terrain systems on the market today! Future instalments in the Titan line will seamlessly integrate additional component-zones to cover all your classic sci-fi infrastructure needs.